The Sierra Nevada plays a critical role in California’s water supply: Snowpack in the mountain provides a natural form of water storage, and the forests and meadows play a role in ensuring water quality and reliability. 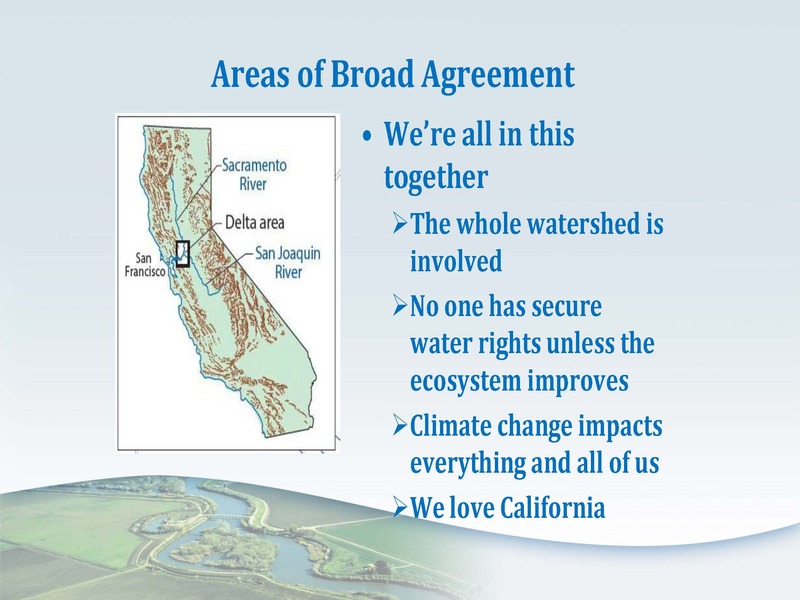 More than 60 percent of California’s developed water supply and more than 75% of the fresh water that flows into the Delta comes from the Sierra Nevada watershed. 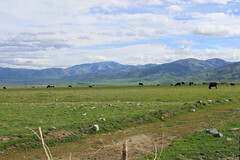 The Delta is the hub of the State of California’s water system, providing water to more than 25 million Californians and three million acres of agricultural land. It is also the largest estuary on the west coast of North America, providing critical habitat for numerous threatened and endangered species, some of them considered recreationally and commercially important, as well as other public trust values. 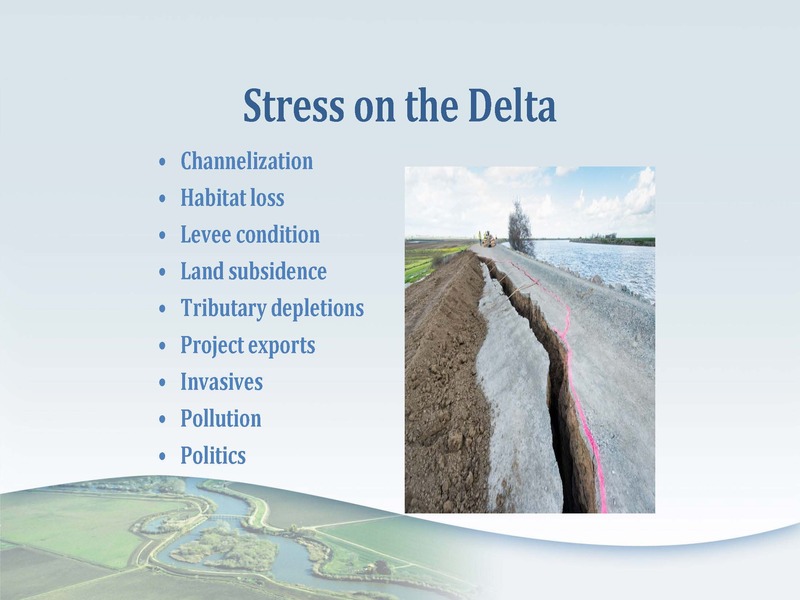 However, the Delta watershed is facing a number of significant challenges, including population growth, increasing water demand, loss of habitat, and impaired water quality. 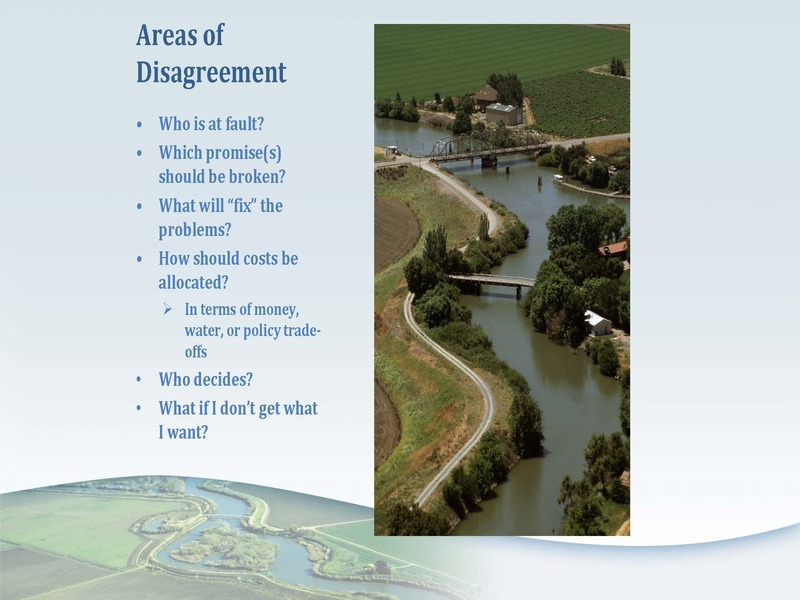 In the last installment of coverage from the Mountain Counties Water Resources Association’s forum, The Sacramento-San Joaquin Delta and its Sierra Nevada Tributaries: The Stressors and the Fix, Delta Watermaster Michael George discusses the Delta, casting it as a shared problem for the entire state, highlighting areas of agreement and disagreement, and giving his thoughts on how to move past the current paralysis towards a more sustainable future. 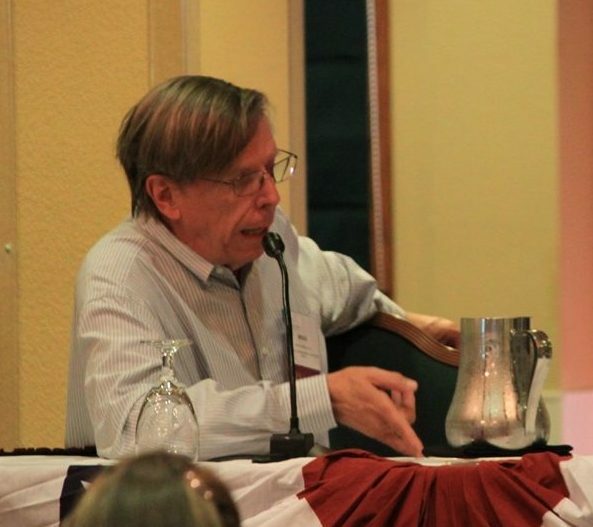 Then to conclude the day, all the panelists were invited back to the stage for a lively panel discussion moderated by Dr. Jeff Mount, senior fellow with the Public Policy Institute of California. 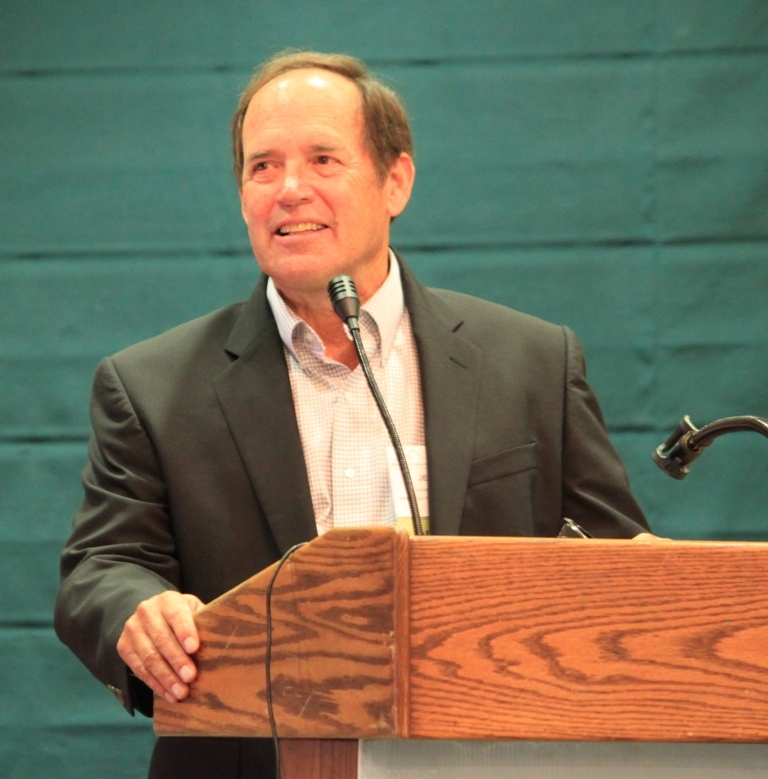 Delta Watermaster Michael George gave the luncheon keynote address, sharing his insights as Delta Watermaster, but noted that he doesn’t speak for either the Delta Stewardship Council and the State Water Resources Control Board, and therefore wouldn’t be giving any state perspectives. 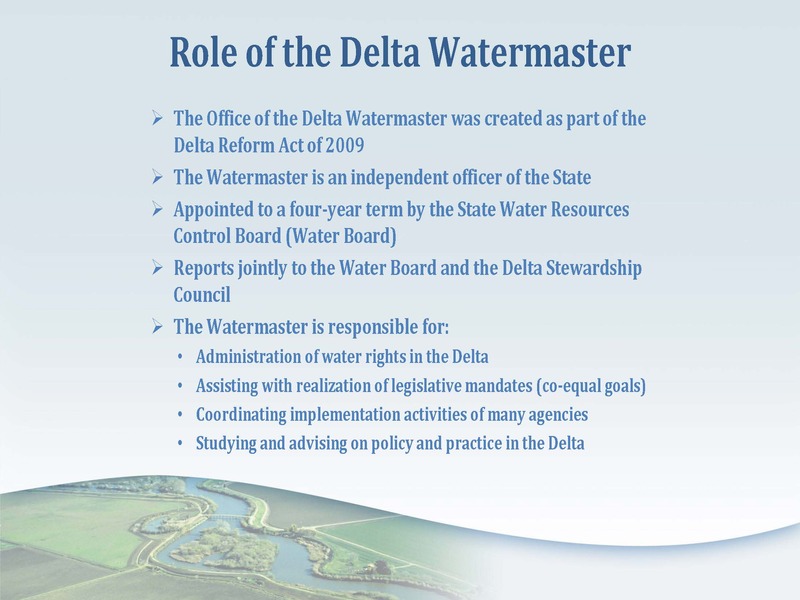 He began by giving an overview of his role as Delta Watermaster, noting that it was a position created by the 2009 Delta Reform Act that came at the end of the Schwarzenegger administration. He is an appointed official, and his role is as an independent officer of the state. He is about 2 and half years into a four year term. 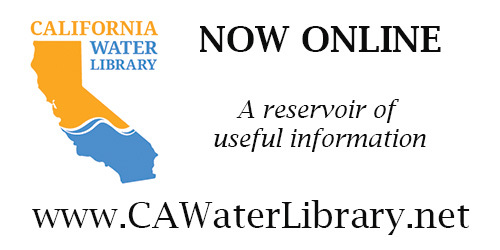 The Watermaster reports to both the State Water Resources Control Board and the Delta Stewardship Council. 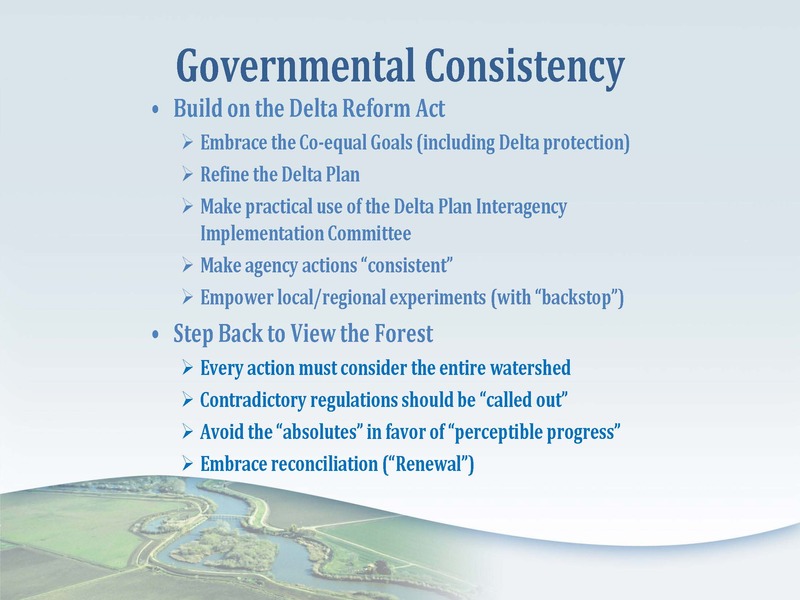 The statutory responsibilities of the Watermaster are to administer the water rights in the statutory Delta. 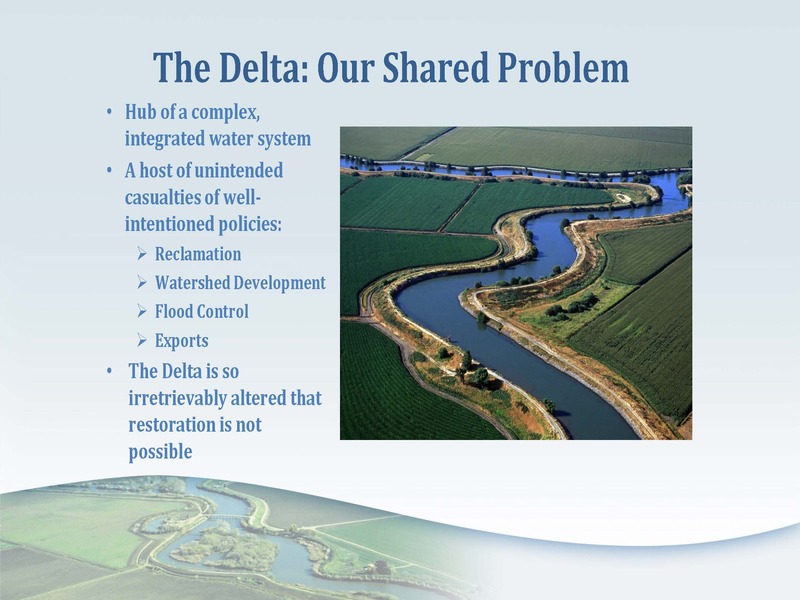 The Delta is the hub of our complex and highly integrated water system; it is the result of a host of unintended consequences of well meaning but limited scope problem solutions, he said. He acknowledged that most if not all of these programs were government programs designed to accomplish a societal objective, and the unintended consequences are what we’re living with and what we need to deal with today. The Delta as it exists today was ‘reclaimed’, the result of when the federal government transferred the Delta to the state on the condition that the state would induce private landowners to reclaim the ‘swamp and overflowed lands’ by building dikes, drying out the land, and farming them. 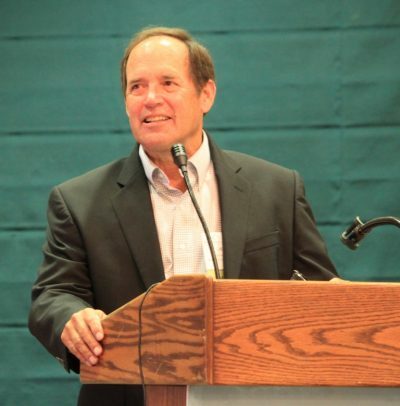 Similarly, the governmental program of maximizing the beneficial use of water led to a great deal of development of water uses on the tributaries throughout the watershed, including up to the Mountain Counties, he said. 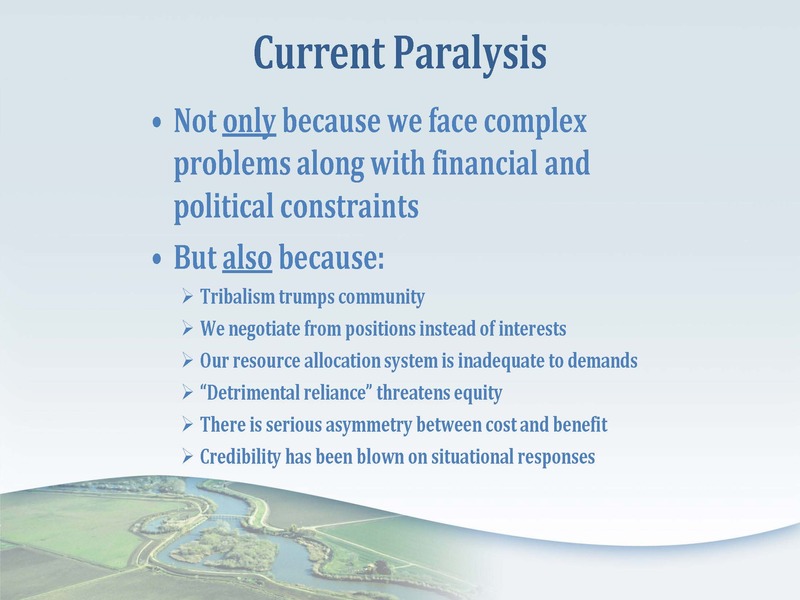 We’ve done a lot of flood control to make sure that when the water does rise, it keeps moving and it doesn’t move out and flood that land as it used to when those were swamp and overflowed lands. 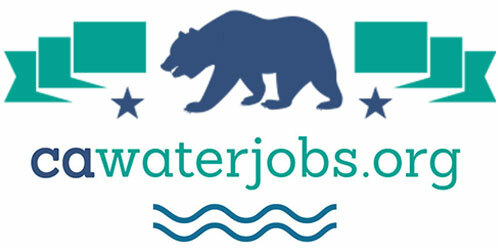 And finally, Mr. George noted that there are the exports of Delta water to Central and Southern California through the state and federal projects, but there are also the other exports of Delta water that occur upstream, such as the Mokelumne Aqueduct by East Bay MUD, San Francisco’s Hetch Hetchy, and other upstream developments that take water for distant use that would otherwise come through the Delta. Secondly, we can agree that our infrastructure is old and vulnerable and that that’s a risk to all of us, he said, noting that it is inherently cheaper to maintain and renew what we’ve got then to replace it when it fails. 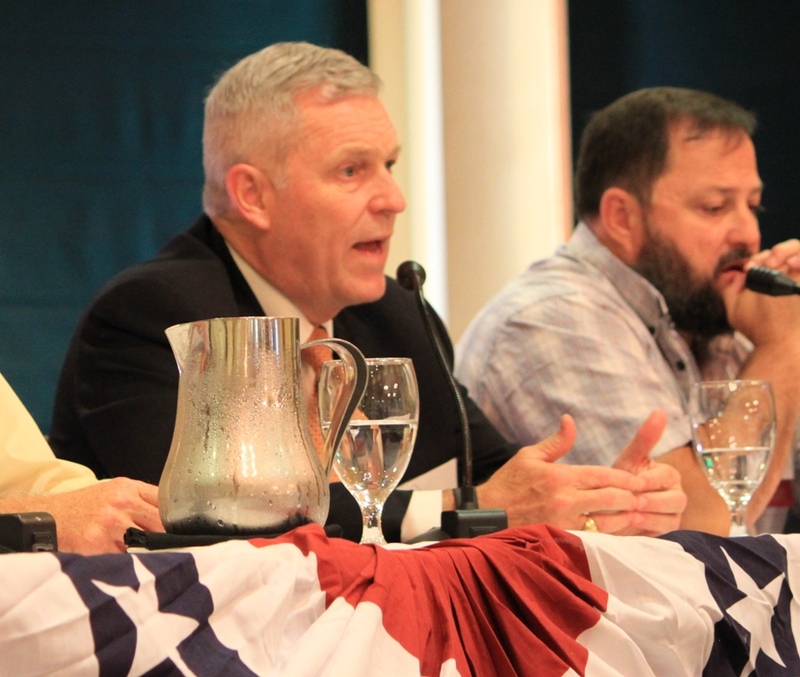 There is also consensus on ‘no regret’ actions, which includes new approaches to fire suppression, the need for biomass thinning, managing erosion, and restoring meadows. 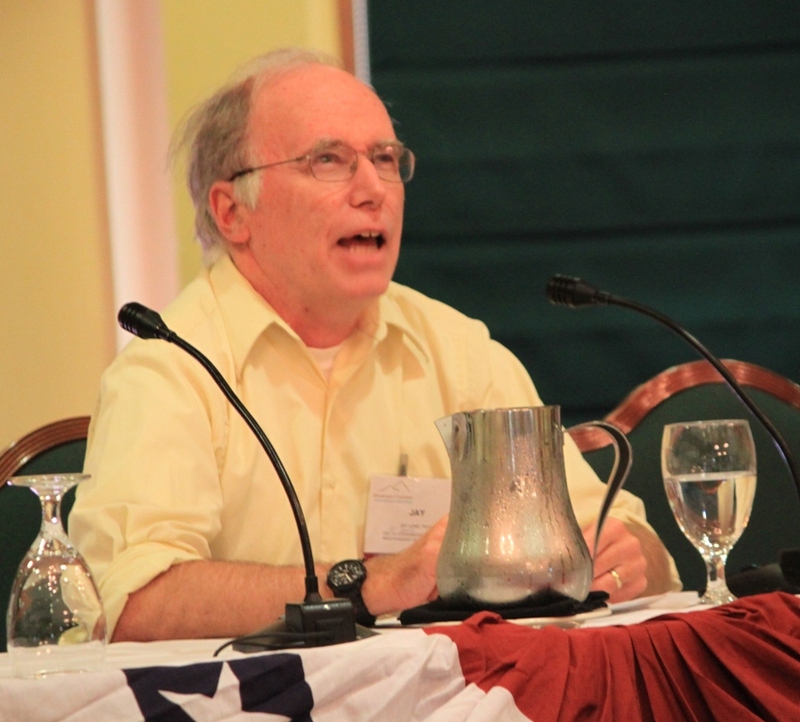 The last item on the agenda for the day was a panel discussion moderated by Dr. Jeff Mount. 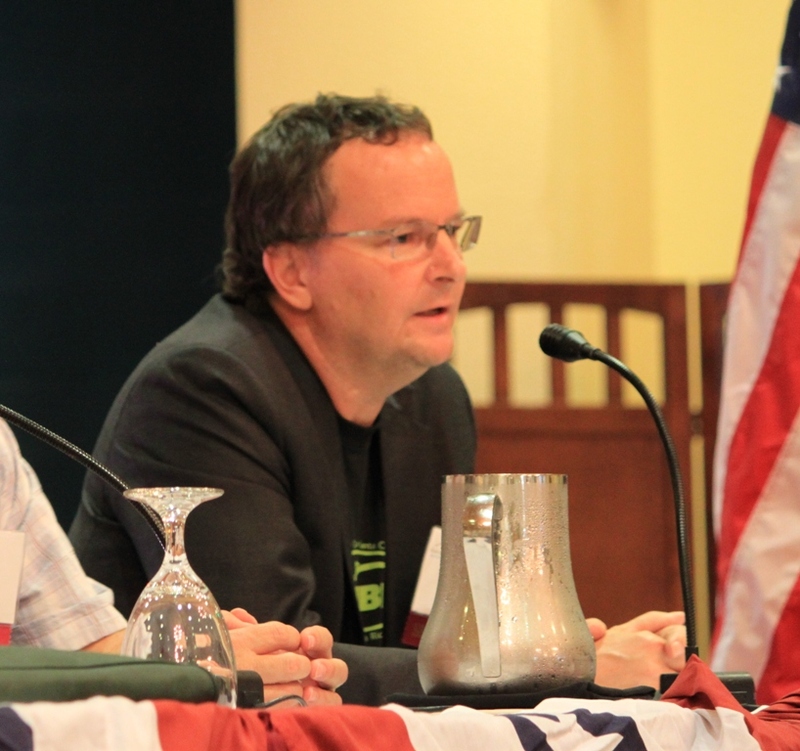 “Why are they doing it and not others?” asked Moderator Jeff Mount. 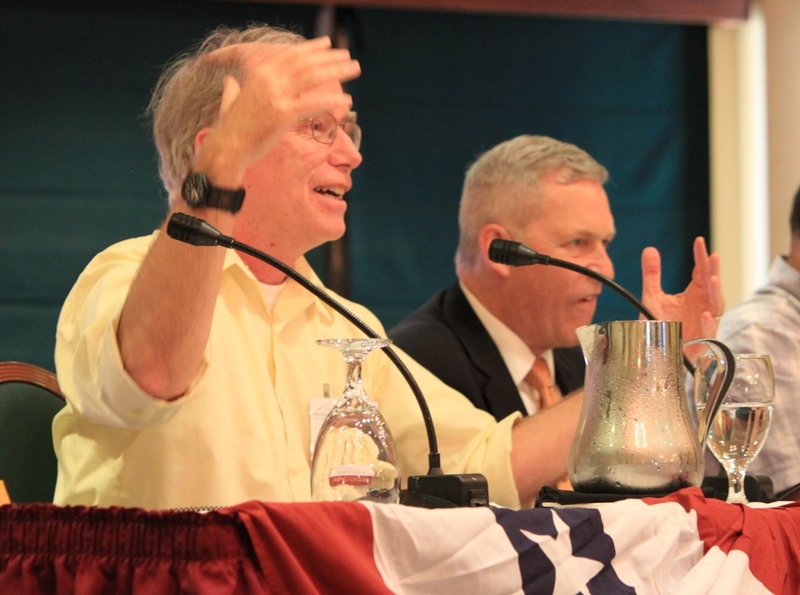 Moderator Jeff Mount then turned to fish and the Delta. 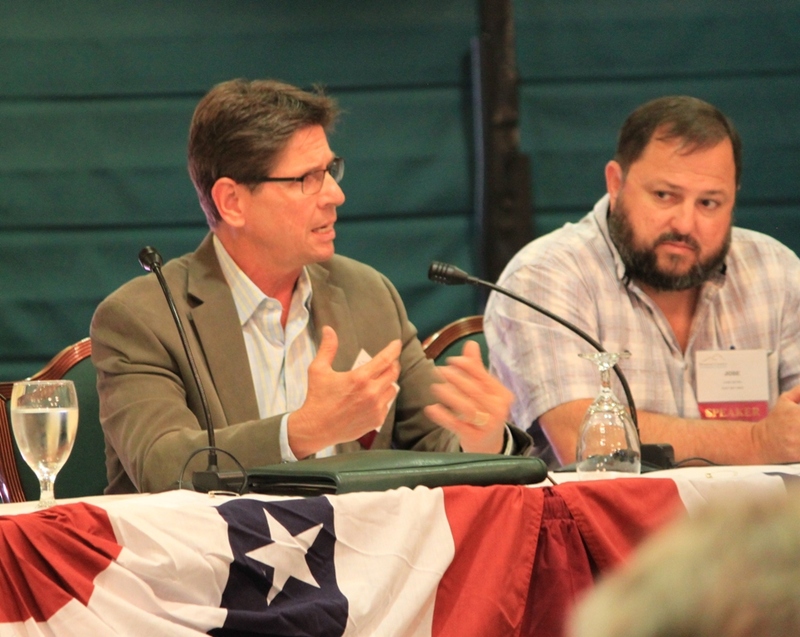 Directing the first question to Doug Demko, he asked, “You spent a lot of your talk focusing on predator control. And you well know this is a very controversial issue in which many of your scientific colleagues don’t think this is a good idea. We start at the outset, striped bass have been fully integrated into this system for more than 100 years. 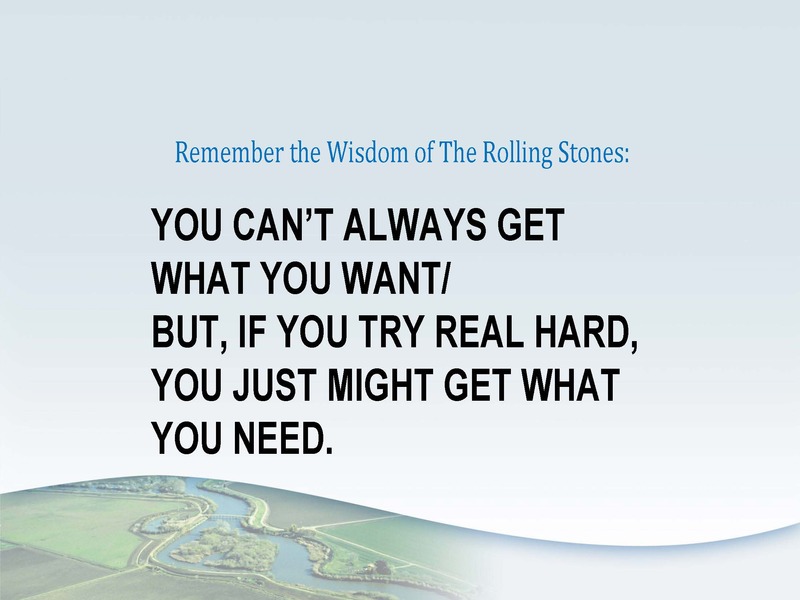 My question for you is, are you tackling a symptom or are you tackling a cause? 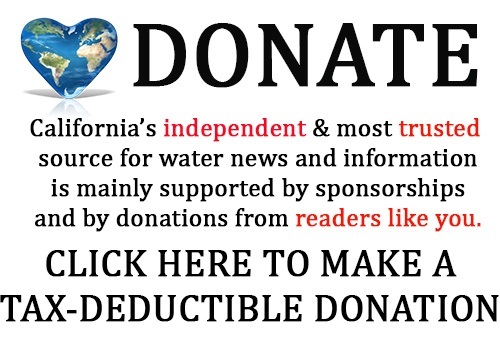 Why restore the Mokelumne (as opposed to other areas)?